hd00:28Asia children showing her hand with painting in house. Child crafts in leisure time. 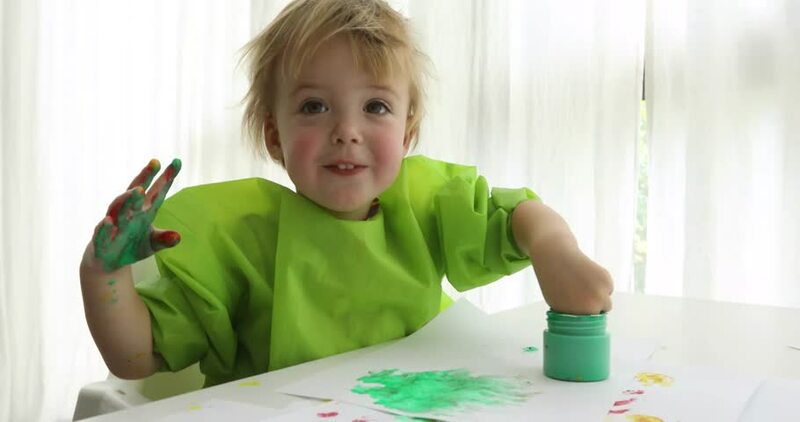 hd00:08The child paints with his fingers. hd00:22Baby Girl With Blue Eyes And Blonde Hair Is Looking In Cam And Laughing.